Looks like Twitter is going to bring back the chronological feed. It must be admitted that we never understood how the algorithm worked. Twitter is one of the most popular social networks. It is widely used in the technology sector because companies, influencers, and users all recognize the value of the social media platform. Having an established presence on Twitter can be a competitive advantage for some companies. For technology users, Twitter and its timeline are a relatively easy way to keep track of new releases, reviews, news, developments, and more. The company has also recently released a Twitter Lite app to provide a more frugal experience. This does not mean, however, that Twitter is flawless. Originally, Twitter's timeline was strictly time-based, which meant that it displayed tweets in reverse chronological order. 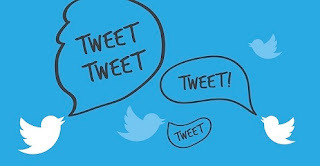 Connected users could count on the fact that they would be able to see the tweets of their accounts tracked in their timeline in a chronological order. In it's tweets, the Twitter announced that it will start testing a "way to switch between a timeline of Tweets that are most relevant for you and a timeline of the latest Tweets." However, this has changed with the advent of the algorithm-based timeline. In 2015, Twitter began experimenting with a new scenario that showed users tweets that would probably interest them more. Algorithms would be used to decide which tweet should be displayed first. Twitter has described this option as "Show me the best tweets first." This option was made by default. This meant that the tweets that the user would be most likely to worry about would always be at the top of their calendar, even if they were older than the other tweets. Even after checking the "Show me the best tweets first" option, users reported that they still see tweets in a non-chronological order in their calendar. Now, however, Twitter is finally ready to reverse the course of this decision by offering users the choice of returning to a chronological timeline rather than an algorithm-based timeline. Twitter indicates that the timeline will be visible to users in the coming weeks. Users can also opt-out of the "Show the best tweets" option to get the timeline tweets first, and Twitter indicates that this option will eventually be replaced by an "easier to access" switch.